Mythical daughter of a Phoenician king. 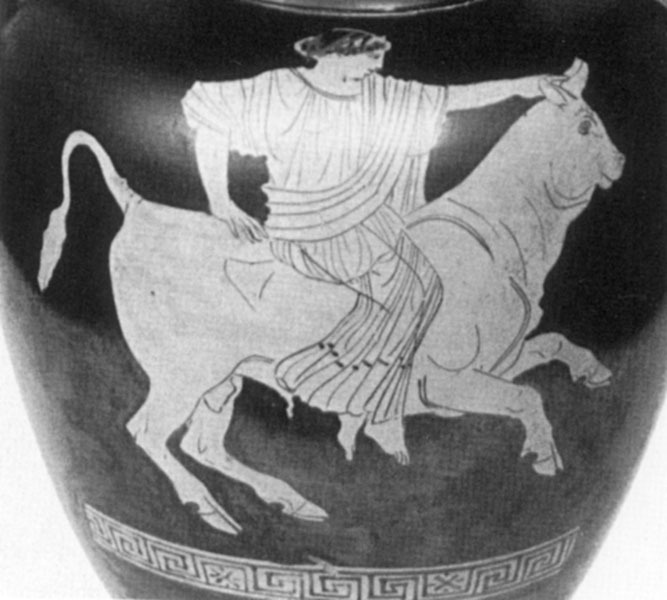 Zeus fell in love with her and seduced her by turning himself into a beautiful bull. He carries her on his back to Crete, where she bears three sons who are to be Judges in the Underworld.